Consolidate all alerts within a rock solid, reliable incident alert management platform. Consolidate critical incident alerts from any PSA, IOT sensor or RMM to your smartphone with distinctive Alert-Until-Read notification, ensuring alerts can’t be ignored. 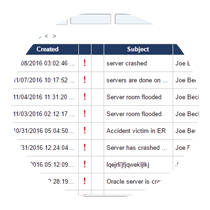 Elevate critical incident alerts above the messaging clutter to help differentiate critical alerts from casual messaging. OnPage incident alerts are up to 5 times faster than pagers and infinitely louder than email or SMS. Its persistent alert will go on for 8 hours or until the message is acknowledged, substantially more effective than a phone call. See a side-by-side comparison between OnPage, pagers and email to learn more. The alert incident system allows for message redundancy across communications channels. 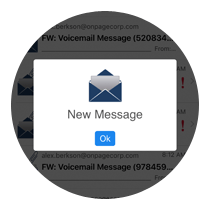 Every message sent to the OnPage app can also be sent redundantly via email, SMS, and phone calls. Alerts can be escalated to other team members in the same group or failover to another group. 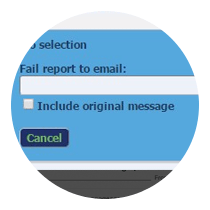 Any failed alert will generate a time-stamped, detailed report to be sent to a manager. Learn more about group alerting, escalations, and on-call scheduling. Contact us for a demo.